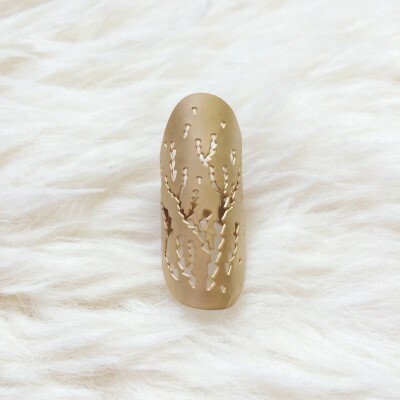 Large knuckle ring in burnished gold. Adjustable. Suitable for larger ring sizes.